BRIAN MANSAKU '20 ARGUES in favor of maintaining the GPA minimum. 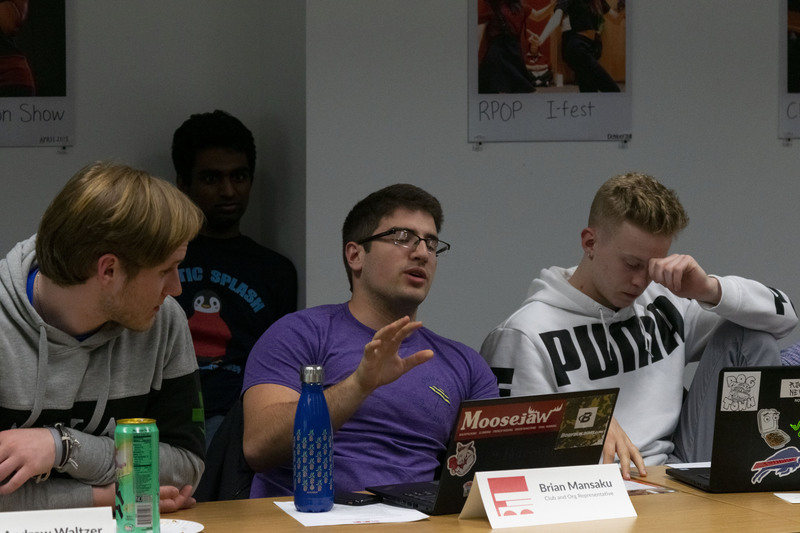 Though a seemingly small change, the amendment to the Executive Board Bylaws adding an appeal process to the 2.5 GPA minimum for membership of the E-Board emerged from a tense half-hour long discussion. The discussion continued, with board members Cody Kazakoff ’21, Raab, and Mansaku supporting the GPA minimum. Raab motioned to amend the original motion to keep the minimum, and during discussion, the Board came to the conclusion to create an appeal process. Rather than amending the current motion, the Board voted on and failed the motion to keep the GPA minimum. They then proposed a new motion to keep the GPA minimum with the ability to appeal to the president of the Union as part of the interview process already in place. This motion passed 9-7-2. The overall amendment to the Bylaws passed 14-2-0.